With the PSP's days numbered in North America, there won't be too many more offers like this before the handheld is taken out back and shot. 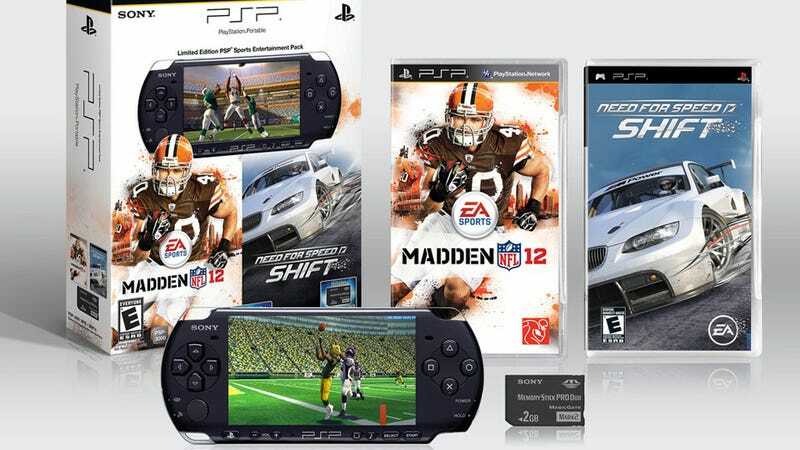 The new, and wonderfully-named "Madden NFL 12 & Need for Speed SHIFT PSP Entertainment Pack" is a bundle that includes a PSP-3000 system, a 2GB memory card and copies of two of EA's last big games for the PSP, Madden 12 and Need for Speed Shift. It goes on sale August 30 in the United States, and will sell for USD$160.